their support of the 1936 Olympics in Nazi and ongoing business collaboration with Hitler during World War II. When the US entered the war in 1941, its Germany subsidiary developed Fanta especially for the German market, owing to their inability to import cola syrup. their refusal to promote African Americans to administrative and management positions, leading Martin Luther King to call for a nationwide Coke boycott the day before his assassination. The issue remained unresolved until 2000, when Coke settled a federal civil rights lawsuit for $200 million. their longstanding battle with Indian farmers over the depletion of aquifers they rely on for well water. their collaboration with right wing paramilitary groups in Columbia to murder labor activists and their families for protest poor pay and working conditions in local bottling plants. their refusal to crack down on their sugar supplier in El Salvador for illegally employing 30,000 children under 12 in sugar cane fields. contamination of local residents’ drinking water in Nejapa El Salvador. refusal to honor growing call by child health advocates to cease advertising caffeinated drinks to children under 12. A comprehensive biography of infamous CIA director Allen Dulles, this film is a treasure trove of hidden history. Dulles ran the CIA from 1953 until Kennedy fired him (in 1961) over the disastrous CIA invasion of Cuba’s Bay of Pigs. (with his brother John Foster Dulles) was a founding member of the corporate elite round table group the Council on Foreign Relations (1921). collaborated with George W’s grandfather Prescott Bush and W Averell Harriman to use Union Bank Company to launder Wall Street monies that financed Hitler’s military arsenal. as a member of the Office of Strategic Services (the CIA’s precursor), served as the primary architect of the program to secretly bring Nazi war criminals to the US – where they became CIA spies, military analysts and space and mind control scientists. with John Foster, represented the Anglo-Iranian Oil Company and the United Fruit Company as partners in the powerful Wall Street law firm Cromwell and Sullivan. instigated coups against Iran (1953) and Guatemala (1954) as a personal vendetta when their democratically elected leaders acted contrary to the financial interests of corporate clients. *The order was foiled by a Warren Commission staffer who secretly retained a copy. For me the most significant segment of this final episode concerns the austerity cuts Roosevelt enacted in 1937, in response to business critics who attacked the burgeoning national debt. As FDR laid off half the workers employed by the Works Progress Administration (WPA), the effects rippled throughout the economy. The stock market crashed in October 1937, even faster than in 1929. Businesses failed in record numbers and unemployment climbed to 20%. Once again, thousands of unemployed Americans were on the brink of starvation. Part 7 also explores the mass migration of indigent Americans to California, under the misguided belief they would find plentiful food and jobs. Like 20 or so other states, California enacted laws to keep out the unemployed. With the help of local residents groups, police patrolled California’s borders for six weeks in 1938. They turned back all newcomers without $10 on their person. Many of the state’s new migrants were housed in giant federal camps, as there was nowhere else for them to live. After Eleanor Roosevelt testified to Congress about her fact finding tour to the camp, FDR introduced (and passed) a $5 billion spending bill. In September 1939, Britain declared war on Germany following the invasion of Poland. By May 1940, Denmark, Norway, Holland and Belgium had fallen to the Nazis and Hitler was bombing the UK. A year later, FDR initiated the first peace time draft in US history. Jobless men flocked to enlist because there were still no jobs. Forty percent failed their physicals due to lingering health effects of starvation. A few weeks before the November 1940 presidential election (which he won), FDR authorized $7 billion in military aid to Britain, opening up thousands of jobs in the defense industry. Yet it would take another three years – and US entry into the war – before the country returned to full employment. This is Part 1 of a fascinating 7-part PBS series on the Great Depression, one of the many topics Americans never study in school. The series reveals much hidden history unfavorable to the ruling elite – I doubt that PBS would air documentaries this honest in the current political landscape. This first episode examines the rapid US industrialization of the 1920s, exemplified by the stellar growth of Ford Motor Company. Henry Ford’s goal in perfecting assembly line manufacturing was to produce Model T’s so cheaply they would cost less than a team of horses. Ford’s River Rouge complex in Detroit was the largest industrial plant in history, employing 50,000 workers and producing 6,000 cars per day. The availability of credit, another new phenomenon, to purchase cars and other durable goods also played a major role in post-World War I expansion. By paying the unprecedented wage of $5/hour, Ford attracted workers from all over the US and Mexico. Over time, however, he cut the hourly wage and sped up the assembly line to further reduce costs. He also created an extremely repressive private security force that relied on 9,000 worker/informants to weed out employees who couldn’t keep up or expressed anger and/or frustration with the speed-ups. Following the Wall Street crash in October, 1929, the US was the only industrialized country without a government safety net (eg unemployment insurances, old age pensions, welfare benefits, etc) for the millions of Americans who lost their jobs. President Hoover believed the solution to the Great Depression was to increase business investment (and production)* and called on charities and local government to provide relief for homeless and starving families. The city of Detroit provided relief to destitute families for over a year but ran out of money as unemployment climbed from 20 to 50% in 1930. It climbed to 80% in August 1931, when Ford closed his factory and laid off 60,000 workers. Assisted by Communist Party organizers, Detroit’s unemployed workers formed a dozen unemployed workers councils, which organized marches and rallies demanding jobs, unemployment compensation and protection against evictions. ** The councils also organized direct actions to block sheriff’s officers from removing families’ furniture from their home. In March 1932, 3,000 unemployed workers organized a hunger march on the Ford factory. In addition to using fire hoses to spray them with freezing water, local police and Ford’s private security force shot 25 of them (many in the back). Four, including a New York Times photographer died instantly. *Hoover’s views flew in the face of most economists, who viewed the Great Depression as a crisis in overproduction and under-consumption. **At the height of the depression, 150 Detroit families were evicted everyday and someone died of starvation every seven hours. 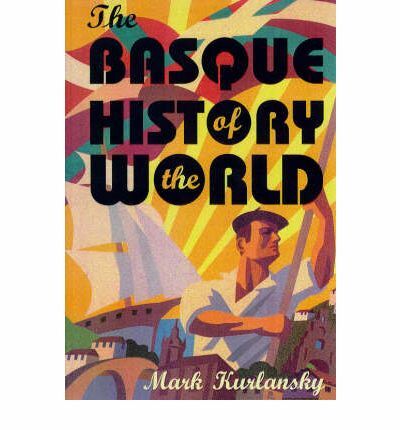 The Basque History of the World is a history of Basqueland, a semi-autonomous region in the Pyrenees straddling the French-Spanish border. Despite the recent declaration of independence by Catalonia, there is surprisingly little attention on historical efforts by Basqueland, to break away from Spanish rule. Like Catalonia Basqueland, which has its own unique language (Eskuera), has been a major industrial and economic powerhouse for the rest of Spain. Historically the Basques were traders and mercenary soldiers dating back to the 4th century BC. The Greeks hired them, as did Carthage in their war against Rome. Although Basque was technically “occupied” by the Roman empire for nearly 400 years, the Romans demanded no tribute (taxes) and exerted no military oversight. In the 7th and 8th century, the Basques became Europe’s leading shipbuilders (which they learned from the Vikings) and iron mongers (which they learned from the Celts). They were the world’s first commercial whalers, establishing whaling stations as far distant as Newfoundland and Labrador. In the 9th century, they also dominated the European trade in salted cod, fishing off Iceland, Norway, Britain, as well as Newfoundland. Beginning in the 15th century they were sought after by many European explorers (including Columbus and Magellan) as pilots, navigators and seamen. They were also the first capitalists, financing their shipbuilding via private venture capital. In 1999, when this book was published, they were still global leaders in banking. Neither the Moors (in the 8th century) nor King Ferdinand and Queen Isabella (in the 15th century) succeeded in conquering Basqueland. Owing to the immense wealth the Basques generated, they paid no duty on foreign goods imported through their ports. Until 1876, they paid no tax to Madrid and were exempt from serving in the Spanish military. French Basqueland fared far worse after the French revolutionary government eliminated France’s three Basque provinces in their campaign to erase ethnic identities. Spain was so poor when the second Spanish Republic was declared in 1931, only Basqueland and Catalonia (thanks to their strong industrial base) enjoyed a European standard of living. Both regions demanded full autonomy as a condition of supporting the Republic. Following the successful coup of Spain’s fascist dictator Francisco Franco in 1939, the Basques provided the only organized resistance against his regime. They also played an extremely important role in the French resistance to Hitler’s occupation of France. In 1973, ETA, the Basque armed militia assassinated Franco’s second in command, and Basque and Catalan leaders began meeting secretly to plan Spain’s transition to democracy. Franco’s death and the fall of his government in 1975 would prove disastrous for the Basque economy. The dictator had been heavily subsidizing archaic Basque factories, which were totally unable to compete with modern European industries after Spain joined the EU. In 1998, after uniting with Catalonia to win constitutional guarantees of legislative autonomy (for both Catalonia and Basqueland), ETA unilaterally renounced violence. This followed a 16-year battle with the GAL, an undercover police/paramilitary operation that engaged in extrajudicial assassinations and torture against Basque nationalists.